Mr. Silvio Napoli has been an Executive Director of Schindler Holding AG since March 22, 2016 and its Chairman of the Board since March 16, 2017. Mr. Napoli served as the Chief Executive Officer at Schindler Holding AG from January 1, 2014 to April 1, 2016. He served as President of Schindler China Elevator Co. Ltd. 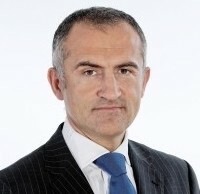 He served as the Head of Asia Pacific of Schindler Holding AG since March 2008. He served as the Chief Executive Officer of the Jardine Schindler Group for three years and from 2003 to 2005 as Managing Director of Schindler Lifts (Hong Kong) Ltd. From 2001 to 2003, he served as Director of Corporate Development (M&A) at ALSO HoldingAG. He joined the Schindler Group in 1994 and has held various positions, including Vice President South Asia, President and Chief Executive Officer Schindler India and Head of its Corporate Planning. Prior to Schindler, he spent four years with The Dow Chemical Company in Germany. He served as a Director of Schindler Lifts Australia Pty. Ltd. until July 10, 2014. Mr. Napoli holds an MBA from Harvard Business School and a master of engineering degree in materials science from the Swiss Federal Institute of Technology(EPFL), Lausanne.